I’ve been itching to buy something from Forest Essentials for a very long time. I’ve always seen their products online and when I chanced upon their store, I walked in and I was pleasantly surprised to see some amazing products that they have. Since this is the first time I was buying something from them, I chose to pick up just one product. The Soundarya Ubtan is good to get rid of blemishes and pigmentation, something that has multiplied post my pregnancy. Again, I know that there is nothing that will ever get rid of these, with prolonged usage, I know that the only difference a product will make is reduce the intensity, but not make it disappear completely. So when I buy something like this, I don’t expect a miracle! It has a very husk like appearance and texture and I mix this with rose water or milk to get the required consistency. As a cleanser, I don’t let it stay on my face for more than two minutes and wash it with warm water. As a mask, I keep it on for at least 10 minutes. 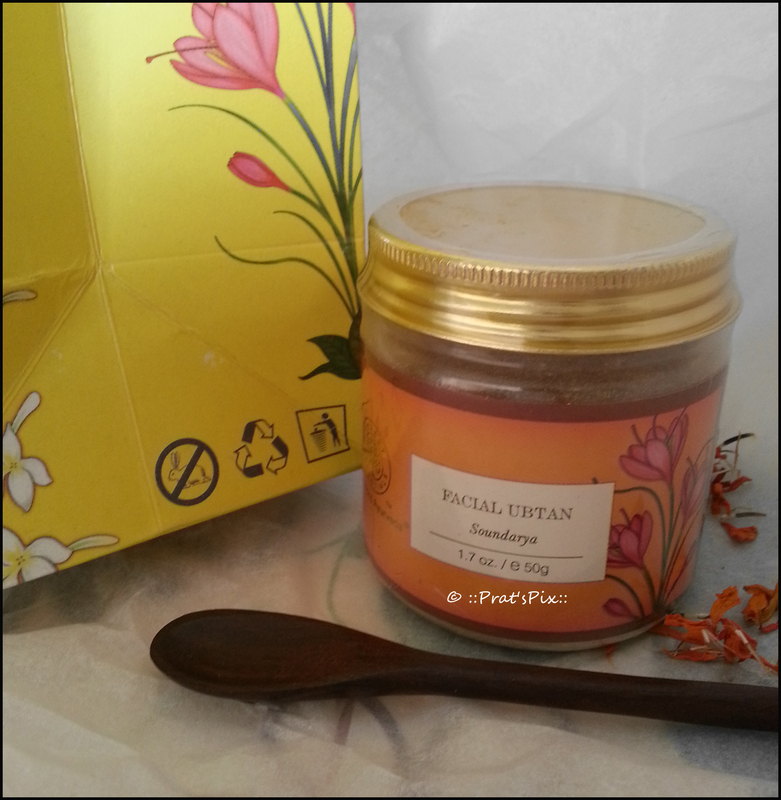 The first fragrance that I got was of fennel seeds and fenugreek seeds. 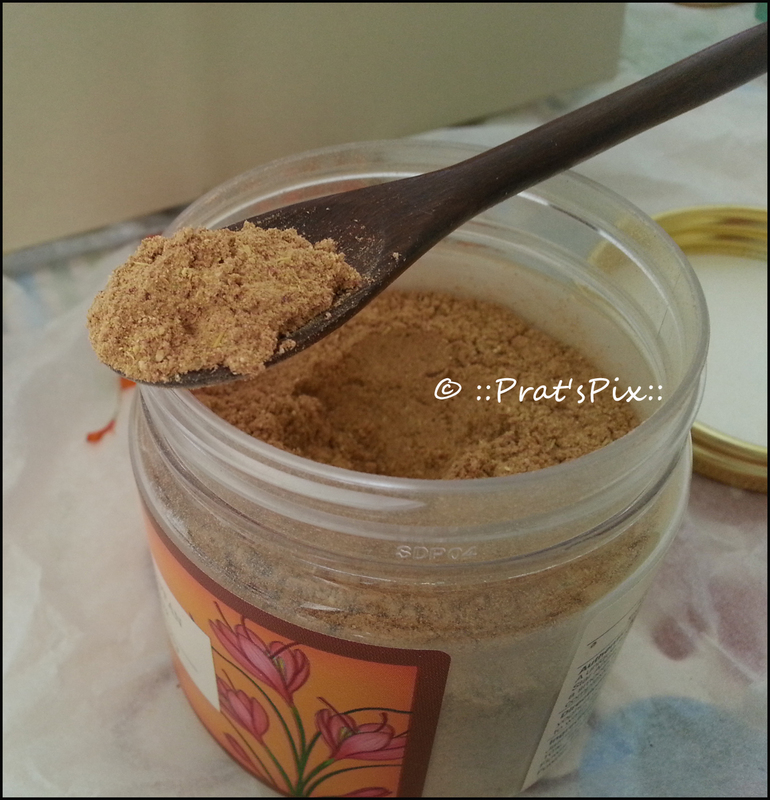 This 50 gm jar of Soundarya Ubtan by Forest Essentials costs Rs.595 and it has a shelf life of two years. I have not seen this product online, so I guess if you have an FE store close by, stop over to have a look. Take a teaspoon of this ubtan and mix this with pure rose water to form a runny paste. This doubles up as a face mask and as a cleanser. 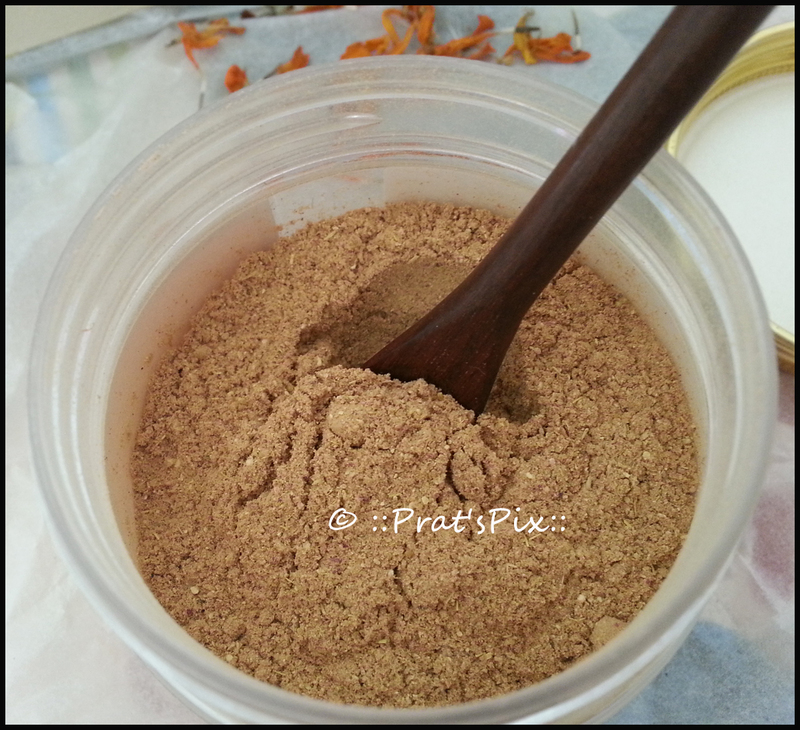 For a mask, you will need more than just a teaspoon because you will need apply it as a thick layer on your face. As a cleanser, you will need a runny consistency to use it as a face wash. When you buy it from their physical store, do ask them to pack the cute wooden spoon that can be used as a measure. 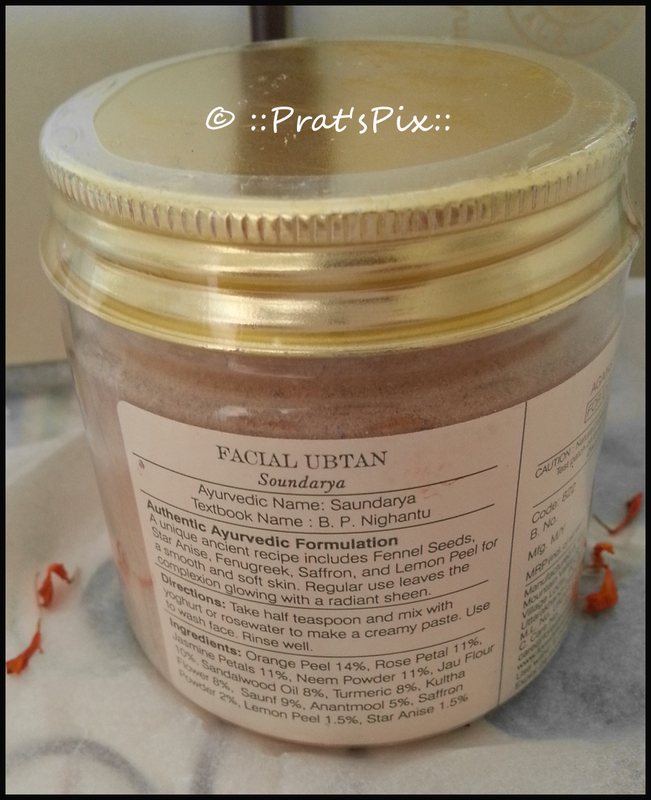 Soundarya Ubtan by Forest Essentials is not a product that is suitable for daily use. I use this as a cleanser thrice a week and as a face pack once a week as recommended by the skin expert in their showroom. It has been about 3 weeks since I have started using this, I have not yet noticed a very visible difference, but my skin feels nice. That is about it. Ingredients : An ancient recipe, unique in its properties, for a smooth, radiant and brilliantly polished skin. It comprises 52 herbs including Turmeric, Fennel Seeds, Star Anise Fruit, Lemon, Orange, Sandalwood, Fenugreek, Manjistha, Cinnamon, Nutgrass Tubers, Clove, Nutmeg, Marigold, Marjoram, Poppy Seeds, Camphor and Saffron which leave the complexion soft, glowing and gently polished. You should get it in any FE store. Hi Pratibha, which is the best scrub that you would recommend for someone who’s oily T-zone and forehead during humid weather. I want something that would control zits and reduce sun tan too. Give me a few days, I am stuck with a bit of personal work, will get back to you shortly!